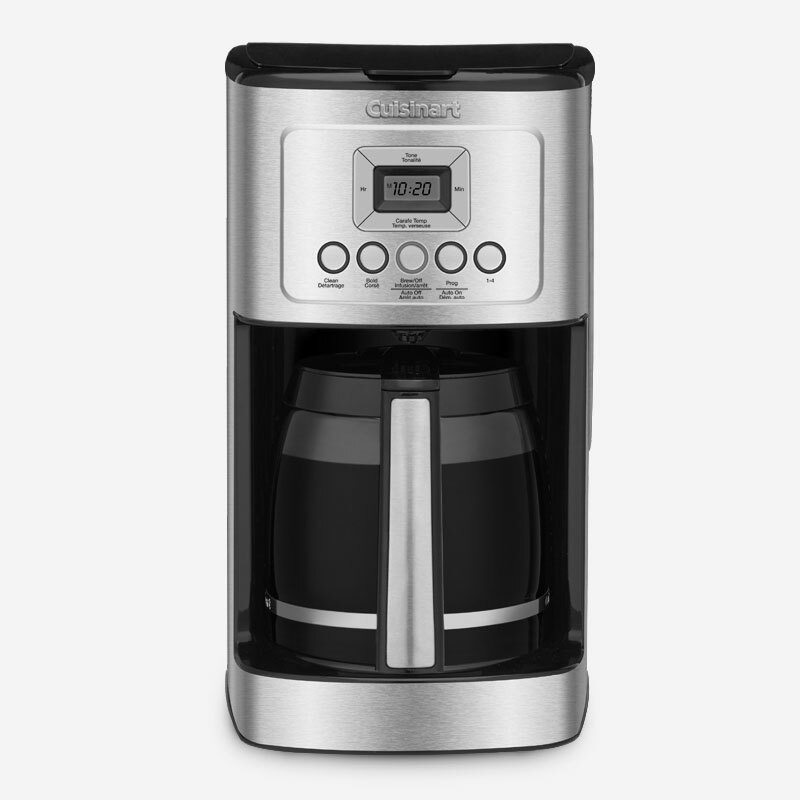 Turn up the flavour and the temperature on your coffee with the Cuisinart 14 Cup Programmable Coffeemaker! Using our cutting edge coffee technology, the 14 Cup Programmable Coffeemaker can give you hotter coffee without sacrificing taste. Choose a regular or bold flavour profile and set the brew-time up to 24 hours ahead so your next cup is ready when you are. The backlit LCD is easy-to-read, a ready tone can be turned on or off, and an indicator light signals when it’s time to decalcify.